Product prices and availability are accurate as of 2019-04-19 00:24:56 UTC and are subject to change. Any price and availability information displayed on http://www.amazon.com/ at the time of purchase will apply to the purchase of this product. Do you wish doing your own haircut at home or you want to create your own custom hairstyle? Why wait for the time to go to a hair salon when you can do-it-yourself? It saves you time and money! This NEW amazing DIY hairstyle tool guides you in cutting or trimming your hair like a professional. It is easy to use and would keep you from messing up your hair layers and doesn't end up look like choppy. Ideal for cutting your children's hair, trimming bangs, creating layers, maintaining your hairstyle in between haircuts and getting rid of split ends keeping your hair healthy shiny. The set comes with a large beige curve clip, short straight blue clip and a light blue rotating level clip. 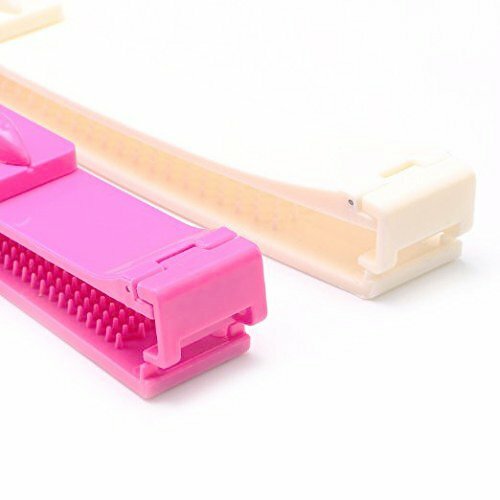 The large clip has a level guide to perfectly level when you cut your hair. 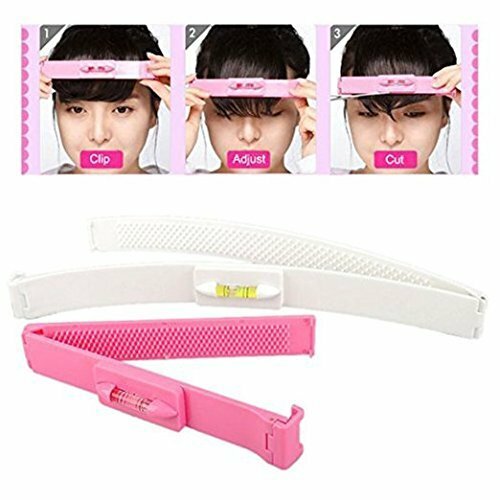 It is used for trimming/cutting the back of your hair neatly and adding layers with a perfect curve. 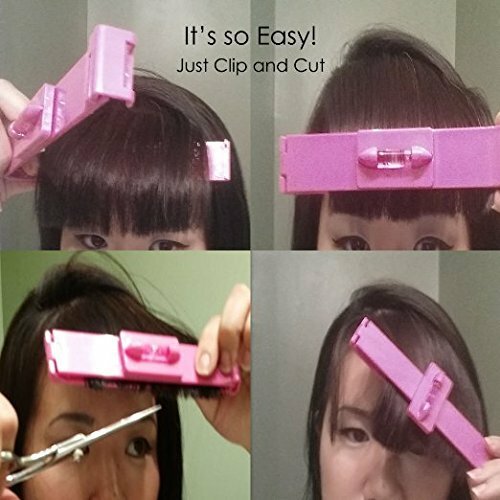 The blue short clip is used for haircutting your bangs and unnecessary hair perfectly straight. Rotating level clip helps you switching to a certain degree to get a balanced and more precise cut. They are nicely made and will hold a decent amount of hair. It has a lock and a comfort glide combing teeth that secure your hair from slipping while you're cut your hair. It is lightweight so it is very convenient to use easy to clean, store and great for traveling too. 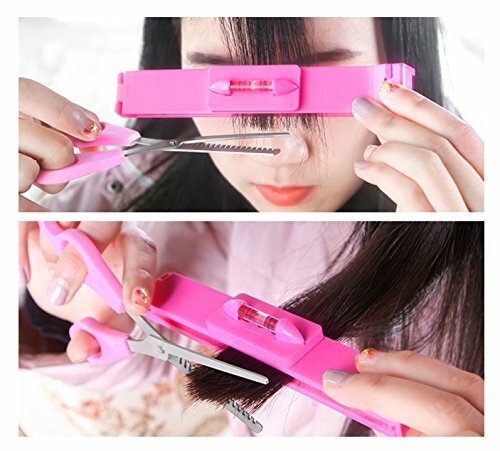 NEW DIY Professional Home Self Haircutting Tool. Note: might not work if putting too much hair all in at once. 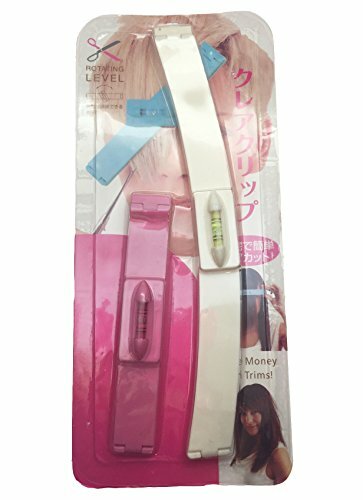 Great for cutting children's hair, trimming bangs, creating layers, or just maintaining a hairstyle between cuts- anytime, any place EVERYTHING YOU NEED TO CUT YOUR OWN HAIR AT HOME Whether your hair is long, short , curly or straight, you can give yourself a professional cut at home with this trimmers and cutters. Save money from going to salon. Saves time and money! Easy to Carry and Great for Travel Material: thermoplastic polymer. 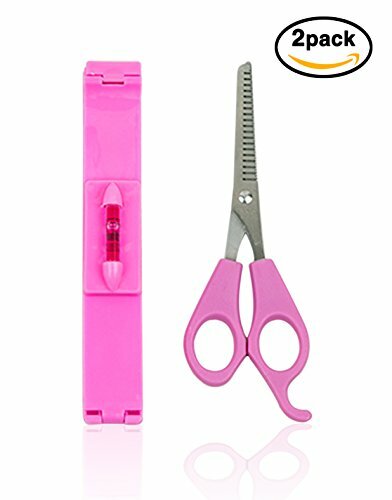 Set includes two pairs of haircutting shears: one with straight blades and one with textured blades for removing length, trimming, shaping, layering, styling, maintaining and thinning in Pink and white color PACK OF 2: 1. Small Straight Size: approximately 6.3"X0.75"; 2. Large Curved Size: approximately 11" X 0.75"